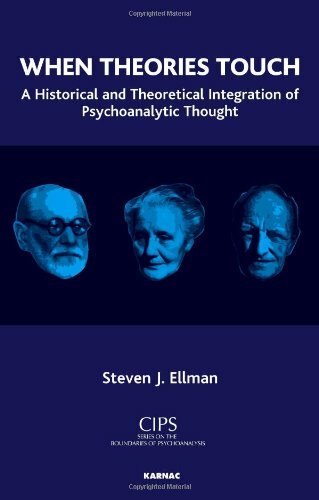 Steven Ellman was Professor in the Graduate School of City University of New York (CUNY) where he was Director of the Ph.D. program in Clinical Psychology. He is now, after 30 years as a Professor at CUNY, Professor-Emeritus. He has published more than 70 papers in psychoanalysis, sleep and dreams the neurophysiology of motivation. He has published several books including Freud's Technique Papers: A Contemporary Perspective and The Mind in Sleep (with Antrobus). He has been President of IPTAR twice, Program Chair and he is training and supervising analyst at IPTAR. He is also Clinical Professor at New York University Post-Doctoral Program in Psychoanalysis and Psychotherapy. He was the first President of the Confederation of Independent Psychoanalytic Societies (CIPS). CIPS is the national professional organization of the independent International Psychoanalytic Association (IPA) societies of the United States. He is member of the IPA and was previously on the Executive Council of the IPA.